Spencer Warnick’s practice encompasses patent application preparation and prosecution, IP infringement negotiations, investor IP due diligence, opinions and client portfolio counseling. His technical experience includes power generation and other energy technologies, semiconductor fabrication, thermodynamics, lighting technologies, software, medical devices and electro-mechanical devices. Spencer represents clients ranging from independent inventors to large corporate entities and has extensive experience in preparing patent infringement, validity and enforceability opinions. With his partners, Spencer was an early adopter of technology and fixed fee arrangements that deliver highly cost-effective, quality IP legal services to large corporations. He understands the oftentimes overwhelming challenges of in-house IP departments, such as protecting key company assets across wide ranges of technology on a very tight budget while also appeasing important internal constituencies. Spencer focuses on delivering high value patents, but also on making corporate patent counsel and administrative staff lives’ easier. He is highly responsive to his clients’ needs and carefully follows complicated corporate patent prosecution guidelines while also customizing services to each individual corporate patent counsel’s standards. Spencer appreciates the ever-changing corporate IP landscape, having experienced many corporate reorganizations and a billion dollar corporate divestiture. 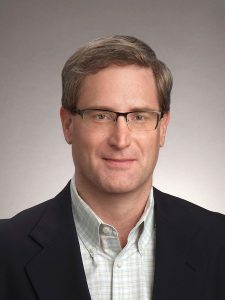 He has supervised onboarding and continuing representation of hundreds of patent prosecution matters, many requiring proactive remedial action, while minimizing impact on corporate counsel during the transitions. Spencer has been involved in the intellectual property field for over 25 years, starting at the United States Patent and Trademark Office in Washington D.C. where he was a U.S. Primary Patent Examiner. He founded Hoffman Warnick in 1999, where he serves as one of the managing partners. Spencer is an active supporter of economic development initiatives throughout the Capital Region. He is an angel investor in Eastern New York Angels (ENYA)(I and II) and an advisor to many ENYA portfolio companies. He serves as a board member of the Technology Accelerator Fund of the Capital Region Chamber of Commerce, and is a member of the Capital Region’s Center for Economic Growth. Spencer has personally prepared hundreds of patent applications, and manages patent preparation and prosecution in over 100 patent applications each year for two Fortune 100 companies. He advises many startup clients regarding intellectual property portfolio development with a focus on making smart, cost-effective decisions based on each company’s unique situation. Spencer recently provided counseling to a startup lighting technology client facing closure due to patent litigation lawsuit by a much larger competitor. Spencer’s representation resulted in a design around of the allegedly infringed patents, preparation of blocking patents to the competitor’s technology and a settlement agreement with no liability to the client. The client was subsequently able to attain multiple venture capital investors and is now flourishing with an effective IP portfolio strategy. Spencer is an angel investor and appreciates the challenges facing the investor community relative to evaluating IP of investment targets. He routinely conducts IP due diligence evaluations and is not afraid to provide bad news when warranted. Spencer recently advised a highly motivated investor client to not make an investment, saving $250,000, because the target’s technology was un-protectable and they were potentially infringing another company’s patent.